WASHINGTON - Japan and the United States have polar opposite views when it comes to citizenship. But as xenophobia becomes an increasingly acceptable populist force in U.S. politics, it may well be in Japan’s interest to diverge from Washington and broaden the definition of what it is to be Japanese. While racial tolerance has never been Japan’s strength, there has never been a better time for Tokyo to make its mark as a realist of diversity. The U.S. is one of the few countries in the world where being born on U.S. territory is enough to be bestowed U.S. citizenship. Japan, on the other hand, is like most other countries where having parental lineage is a prerequisite for being Japanese. The challenge, of course, is that the definition of being truly Japanese has actually been much more stringent than that based on legal nationality. It’s never been easy to have different background from the norm in Japan. Even kids of expatriates, who are often offspring of children of Japanese executives representing blue chip companies with a Japanese father and a Japanese — often stay-at-home — mother, have as many problems fitting in once they return from a few years overseas. The fact that there is a specific terminology, “kikoku shijo,” to describe them speaks volumes about the exceptional status given to them as they try to adjust to two realities of living completely in Japan and spending some time in their formative years abroad. For biracial Japanese, though, the difficulties are much more pronounced. They not only have been raised differently by virtue of having one non-Japanese parent, even if they have spent their entire lives in Japan, but they also look different. In short, there is no escaping that they are not like the others and they are all too often defined by their superficial difference. The fact that there is a disproportionate number of hafu (mixed race) talents in the Japanese media speaks volumes about their special status, but all too often their popularity is based on their more exotic look rather than any real talent they may possess. So that makes Naomi Osaka’s U.S. Open win all the more striking. Race had nothing to do with her victory, and yet she has been able to elevate public discussions about Japanese identity and citizenship within and outside of Japan to unprecedented levels. 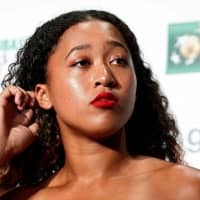 Because Japan does not allow dual citizenship, the 20-year-old Osaka will have to decide whether to keep or renounce her Japanese passport before she turns 22. It is widely speculated that she will choose to remain Japanese, and forfeit her U.S. citizenship for practical reasons: The lucrative corporate sponsorships and other financial incentives from Japan will far outpace any deals she could get in the U.S.
Granted, the vast majority of dual citizens don’t have such significant financial considerations to make. For them, making the decision about whether or not to remain a Japanese citizen by renouncing their other identity as they enter adulthood is based on hope and expectations. Until recently, Japan hasn’t offered them much hope in terms of providing opportunities for those who not only looked different, but also had a value system that respected Japan but did not conform entirely. For those whose choice was to become an American or be Japanese, most chose to be American and renounced their Japanese citizenship. But that choice is increasingly difficult to make, not least as xenophobia is rearing its ugly head across the U.S. and looking Asian can be a liability even in the country that had traditionally touted its tolerance and diversity. It’s a particularly challenging time to be a young, ambitious Asian-American aiming for the most competitive U.S. colleges that are now under scrutiny for actively discriminating against Asian-Americans who would otherwise be shoe-ins for the coveted spots were it not for their race. Some of the most renowned U.S. universities are, in short, trying to limit the number of Asians, including Japanese, simply because of how they look, instead of welcoming their achievements. At the same time, the number of Japanese with dual citizenship continues to grow. Of the 800 or so students from ages 5 to 17 at the Japanese School in Washington, for instance, the majority are both U.S. and Japanese citizens. It’s a far cry from the school’s origins, which was founded in 1958 within the embassy to cater to the children of the diplomats stationed there. The students of that school devote half of their weekend each week to come to grips with their Japanese identity and are committed to linguistic fluency as well. In an ideal world, these students should not be forced to choose their national allegiance. In practice, however, most have usually gone on to give up their Japanese passport when they become adults, often with great reluctance. Yet their belief has traditionally been that the U.S. will be able to give them far more opportunities to shine than Japan would. But as the U.S. becomes increasingly inward-looking, Japan has been able to step up to fill some of the vacuum left behind, most notably in establishing global trade rules. There is an opportunity now for Japan to rise to the occasion even further and encourage greater diversity and attract some of the most globally minded, determined, and thoughtful youths in the world. Osaka is a role model for a more global, open-minded Japan. Expanding the definition of what it is to be Japanese and encouraging diversity will only further Japan’s role as a country fully in tune with the needs of the 21st century. Based in Washington, Shihoko Goto, a senior associate for Northeast Asia at the Wilson Center’s Asia Program, is an expert on economics and politics in Japan, Taiwan and South Korea.